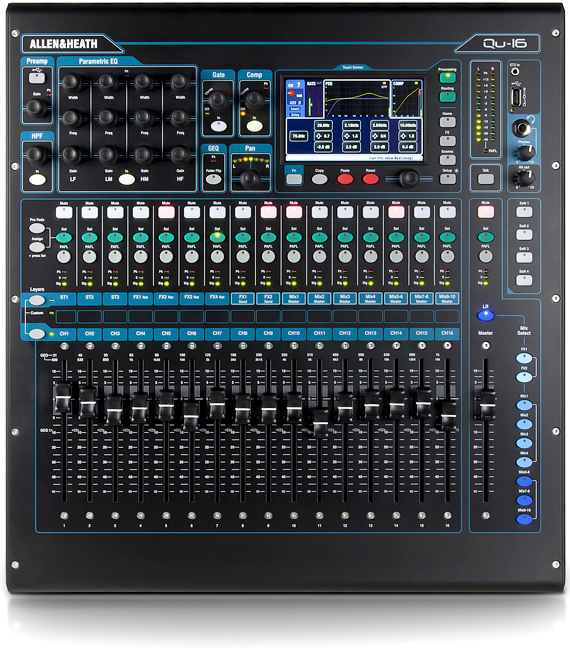 We are pleased to announce that we have added the new Allen Heath QU-16 Digital Mixer for use with our live sound PA systems. “The Qu-16 takes compact digital mixing to a new level with innovative design and exceptional functionality combining to create a superb professional mixing experience”. Hire the QU-16 with the following PA hire packages. This system uses digital mixing technology with extensive outboard capabilities. It’s ideal for live vocal performing events. This system uses digital mixing technology with extensive outboard capabilities. It’s ideal for live band events. This system uses digital mixing technology with extensive outboard capabilities. It offers ample headroom for louder live band events.